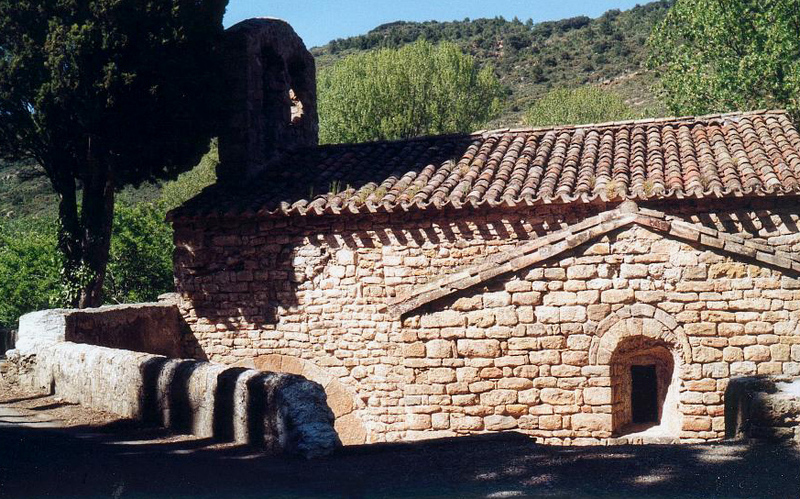 Saint Martin des Puits, Corbières, Aude 10km south of Lagrasse. This little church is in all the guide books, for it has its altar separated from the body of the church by a genuine Visigothic horseshoe arch, although the pillars that support it are of a later date. 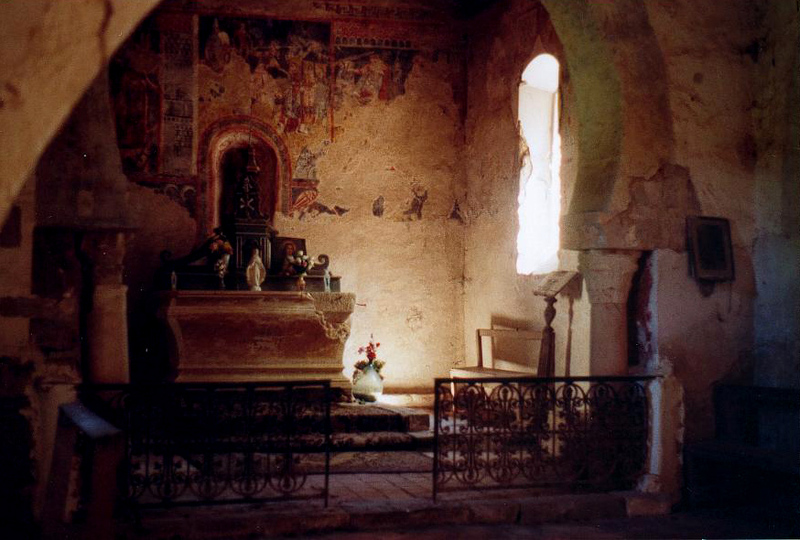 The wall-paintings are 14th century. The church is no doubt of Arian origin, and it still has the original graveyard outside. Perhaps Visigothic people were buried here, more than 1000 years ago! The church is obviously much-loved, containing fresh flowers and new ornaments and on the Sunday I passed with friends, it was open. You can find it on the right, in the village of the same name, on the D212 south of Lagrasse. History tells us it was an ancient priory which was given to the Abbey of Lagrasse in 956 - the church was renovated in 1093. However, I believe it became a pilgrim’s chapel, where they could claim hospitality for the night. It’s origin is no doubt “hidden in the mists of time” as the French say. The church is usually open during the daytime. 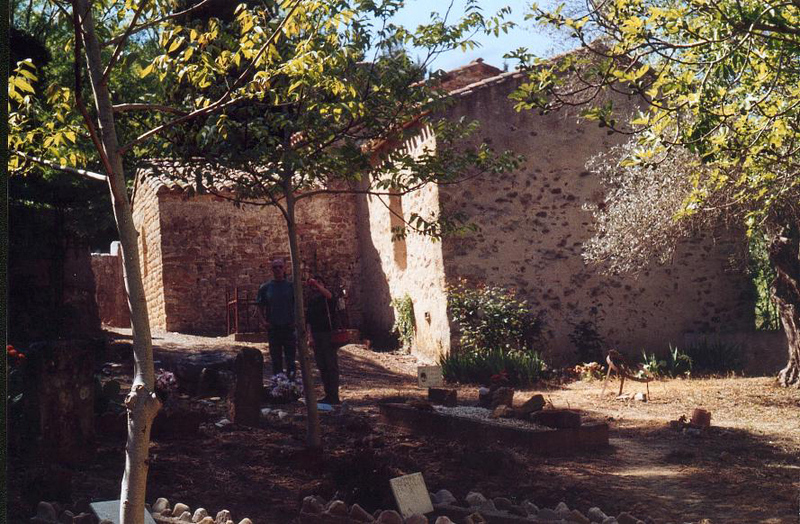 One of the oldest graveyards in Aude. What were the Visigoths like? Gozel - an unsolved mystery. Superb Visigothic Museum in the Cabardès! Gold and Witches in Ariège!